Below are basic services providing, please do not hesitate to contact us for more details. "Impulse Subluxation Adjusting Technique Therapy" is based on the location of human spinal lesions, using different sitting, prone position, through the use of a variety of techniques, in a few minutes to achieve the therapeutic effect of pain. By correcting the position of the spine, the nerves are no longer violated, and the original functions are restored. It is the most gentle and effective method to treat the disease. 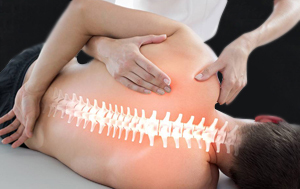 This superior treatment method not only treats spinal disorders such as spinal degeneration, lower back & leg muscles pain problems, spinal joint dislocation and scoliosis, but also treats spine related diseases such as dizziness, headache, insomnia, limb numbness, arrhythmia and gastrointestinal disorders by adjusting the position of the spine. Acupuncture therapy has a long history and it originated from China. Since ancient times, acupuncture and moxibustion medicine has continued to flourish in China everywhere, and has made indelible contributions to the propagation of Chinese civilization and the nation. In the other words, acupuncture is well known among Chinese in detail. Medical analysis report indicated that acupuncture can effectively treat diseases well and the World Health Organization (WHO) also officially recognized that acupuncture can actually help to cure some diseases. From thousands years ago, Chinese community has been relying on Chinese herbal medicine and acupuncture to maintain their health. 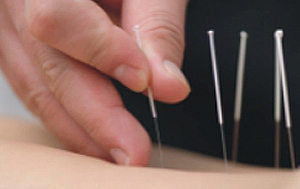 Acupuncture and herb therapy is to imply acupuncture, stimulate the meridians and acupoints, to clear the meridians, to correct the evils, and to coordinate/balance the effects of Yin and Yang, so as to exert its unique therapeutic effect. Consult the root of what will best support your body’’s cleansing process by customizing food choices, supplement products, herbals, treatments, and lifestyle activities. Nutrition consultations will guide you with easy to follow specific meal plans which will focus on the foods recommended by the TCM as well as other liver supportive and detoxifying food. 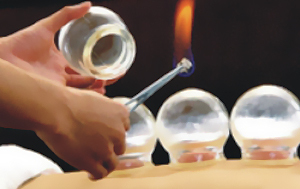 "Cupping therapy" is one of the best "physiotherapy" methods commonly used by traditional Chinese medicine to treat diseases. This therapy uses "negative pressure and warmth" as a mechanism. By stimulating meridians and acupuncture meridian points, it can stimulate muscles and blood circulation, relieve swelling, relieve pain, and cure diarrhea and fever. Besides able to improve the flu, headches, rheumatoid arthritis, it also can balance the energy of yin and yang from our body. 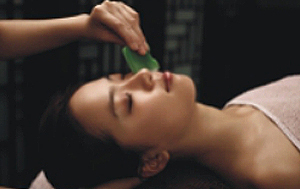 This treatment combines both oriental and western treatment methods and skills and it makes use of various hand technique with acupuncture and other chiropractic manipulation technique to enhance the healing process, the practitioner may recommend the use of Chinese herb and this treatment resemble that of western massage like gliding, kneading, vibration and shaking. In this treatment, the muscles and tendons are massaged with the help of hands and acupressure technique is applied to directly affected the flow of Qi at different acupressure points of the body thus facilitating the healing process. Chinese Herbal Essential Oil Sraping (Guasha) is a natural, alternative therapy that involves scraping your skin with a massage tool to improve your blood circulation. This ancient Chinese healing technique may offer a unique approach to better health, addressing issues like chronic pain. In scraping(Guasha) therapy, our Chinese Physician applies pure chinese herbal essential oil to your skin and scrape your skin with short or long strokes to stimulate microcirculation of the soft tissue, which increases blood flow. It releases unhealthy bodily matter from blood stasis within sored, tired, stiff or injured muscle areas to stimulate new oxygenated blood flow to the areas, thus promotes metabolic cell repair, regeneration, healing and recovery. Scraping (Guasha) is intended to address stagnant energy, called chi, in the body that practitioners believe may be responsible for inflammation. Inflammation is the underlying cause of several conditions associated with chronic pain. Rubbing the skin’s surface is thought to help break up our body energy, reduce inflammation, and promote healing. In addition, it is also effective for detoxification and improves our blood circulation and enhances immune system as well. Copyright © 2018 Happy Life Wellness & Therapy Centre. All Rights Reserved.